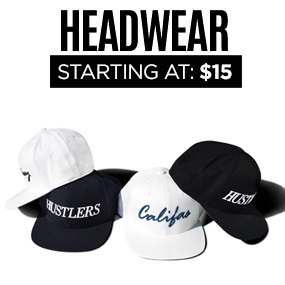 Today, Lacer has a full line of dope hats including licensed NCAA and NHL ranges that are constantly expanding. This fall, they launched Lacer ELITE, a new subdivision for the brand that’s bringing out premium models like the incredible Sole Force 1 that combines the signature Lacer upper but drops a Nike Air Force 1 sole pattern underneath the bill. 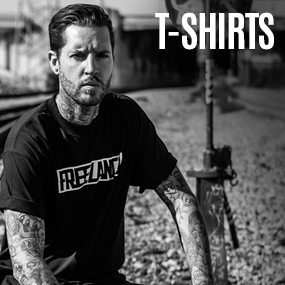 With all this growth and innovation, we had to find out more, so we caught up with Lacer’s co-founder and marketing boss Mike Zarcone to find out how he and Steve built this brand from nothing, and with no experience, into the exciting brand today. Read on! 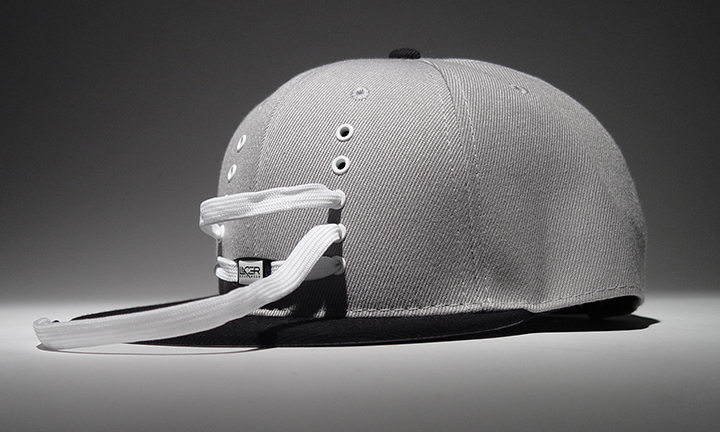 THE HEADWEAR MARKET IS A CROWDED ONE, WHAT INSPIRED THE UNIQUE CONCEPT BEHIND LACER? Steve came up with the concept. At the time, Steve was witnessing the birth of the sneaker craze in Oahu and saw the demand for a direct creative correlation between sneakers and headwear. The idea sparked when one day he was on the beach punching holes in a hat and decided to weave his sneakers laces through them. The rest is history. DID IT TAKE A LOT OF PROTOTYPES BEFORE YOU GOT TO THE DESIGN WE SEE TODAY? Persistence is key. 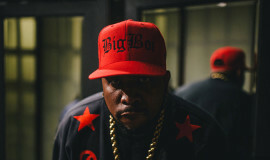 Our first order was a few hundred all black and all white fitteds, but the quality wasn’t good enough to compete with any of the bigger brands. And we didn’t find this out until we brought a few samples to MAGIC one year and talked to people in the headwear game to get their feedback. All of them agreed that the concept was dope but the quality was garbage. So that forced us to trash our first order and find better sourcing. THERE ARE PLENTY OF TRICK DETAILS ON LACER HATS LIKE THE SATIN LINING, CAN YOU WALK US THOUGH THE DIFFERENT ELEMENTS THAT GO INTO EACH PIECE? Our hat frames are typically made with cotton, wool, or acrylic twill but our factory has the ability to use any fabric desired when customizing a Lacer fitted or snapback. We take pride in the quality of our manufacturing and specialize in high stitch counts. The front two panels feature five eyelets strategically measured and placed for a smooth shoe lace weaving experience just as if you were lacing up your favorite pair of sneakers. On the inside of each Lacer cap is a satin liner with branded taping and tags, providing a new level of comfort for our customers while also increasing the quality and value of each hat. 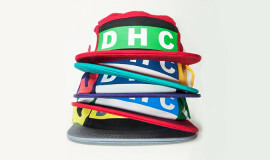 Lastly, every hat includes our signature Lacer branded rubber stamp located on the back. Our laces vary. 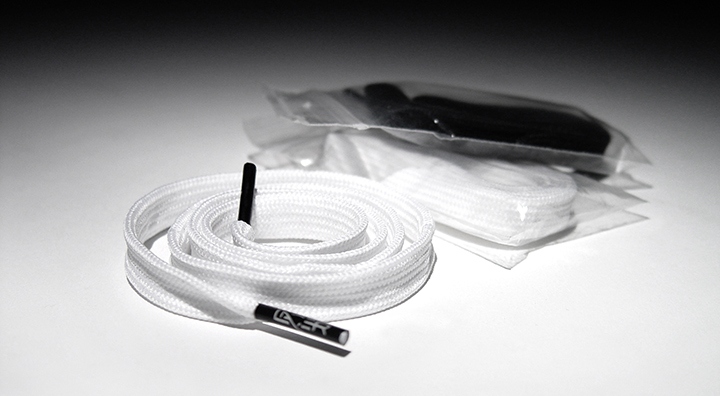 Each lace is a slightly waxed 26 inch lace with branded aglets. 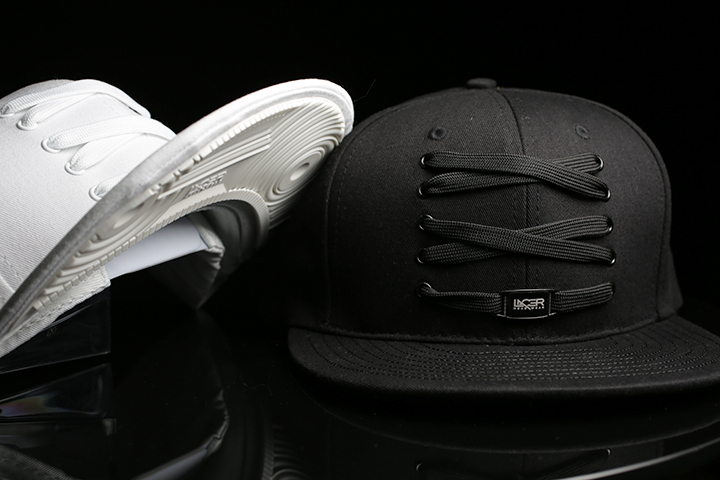 To promote the ability of customizing your Lacer to fit your individual style, every Lacer cap comes with two different color laces at no extra cost to our customers. We decided to include an emblem (dubrae) within the Lacer design. The coated metal emblem enables consumers to represent their favorite sports teams and brands in a new way. 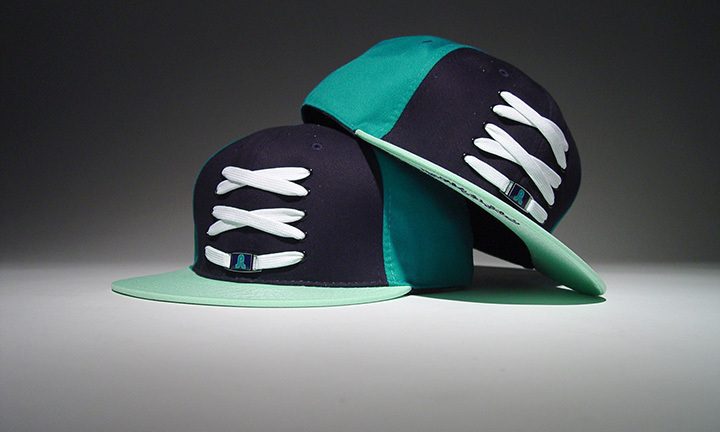 Lacer emblems can be taken off the hat, moved around within the Lacer design, or used on any pair of sneakers. Licensed Lacer emblems can be bought separately on www.lacerheadwear.com. WHAT WAS THE BIGGEST CHALLENGE GETTING LACER STARTED? I’d say being accepted within the streetwear scene. 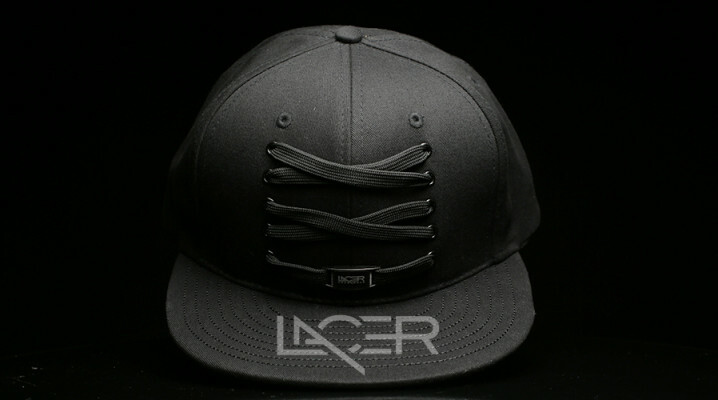 The concept behind the Lacer design is so simple but also extremely creative, and it’s one of those ideas that many people probably daydreamed about but never pursued. So when we showed it to people we noticed that their reaction was either EXTREMELY positive and mind blown, or turned off and shut down to the concept. And nowadays, with so many brands producing similar looking products, they differentiate themselves by focusing more on their brand culture, and the Lacer is a product that symbolizes something that these brands lack and therefore shy away from. But in the end, we would rather be accepted by the people buying and wearing our products than our industry. HOW DID YOUR PARTNERSHIP WITH STEVE COME TO BE? Steve and I met in 2006 over a phone call haha. At the time we were both hungry entrepreneurs who enjoyed watching creative concepts come to life. Steve was in Hawaii putting together reggae concerts and I was in New York working on bringing streetwear brands like LRG and Upper Playground into the Paintball action sport scene. At the time Steve had a local t-shirt company called VASTA Artillery and I was placing his products in several photoshoots that I was putting together for Paintball Sports Magazine, which at the time was the biggest Paintball lifestyle magazine distributed in the US. I think it was a week after I decided to stop working with PSM that Steve texted me a picture of laces in the hat. The rest is history. WITH YOUR BACKGROUND IN MARKETING AND STEVE’S BACKGROUND IN SHOW PROMOTION, HOW IMPORTANT HAVE INDUSTRY CONNECTIONS BEEN TO THE GROWTH OF LACER? Extremely important. The list is really too long to individually thank all of them. Between Steve and I it has been an amazing journey filled with some amazing people. AS LACER’S CO-FOUNDER, HOW DID YOUR MARKETING EXPERTISE HELP TAKE LACER FROM SMALL-ISLAND HAWAII TO THE GLOBAL MARKET? While I helped, it’s really the products that sell themselves. But my efforts, failures and successes came from my passion to tell our story. Every brand should have a story and Lacer’s story was so awesome to me that I made it a personal goal to share it with the rest of the world. And being part of that story has been a real honor. My past experience in action and pro sports marketing combined with my corporate experience with Delta Airlines and American Express, and digital experience with innovative companies like PointRoll has definitely helped us quickly and strategically tell that story. I believe that if you’re passionate about something and willing to continuously learn new skills, then applying those learned skills to your passions will only make your dreams that much closer to reality. WHAT’S BEEN YOUR BIGGEST SUCCESS/PROUDEST MOMENT SO FAR? We have a few big success moments. Getting into Footaction after only being in business for a year was a personal big one for me. But our most recent big success has been our new licensing partnership with Zephyr, that allows us to produce and sell licensed NBA, NHL and NCAA products. HOW DID YOU GUYS HOOK UP WITH ZEPHYR, AND WHAT OPPORTUNITIES HAS THAT OPENED UP FOR YOU GUYS? When we first launched the brand we reached out to all the major headwear brands and all of them agreed that the Lacer concept was cool but it wasn’t time to work with us. Zephyr was one of the few brands that continued to follow our success. Their CEO noticed us being sold in one of their top accounts in Australia and was nice enough to reconnect with us. Since then its been an awesome experience making a bunch of pro team licensed projects come to life. 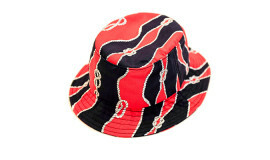 THE COLLAB HAT WITH PRETTY LIGHTS SOLD OUT IN A MATTER OF HOURS, WHAT WAS THAT LIKE FOR YOU GUYS? That was amazing. Two years working with Derek and his management team has been awesome. His music is a great representation of our company maxim, evolved originality, because it combines multiple musical genres and cultures together. 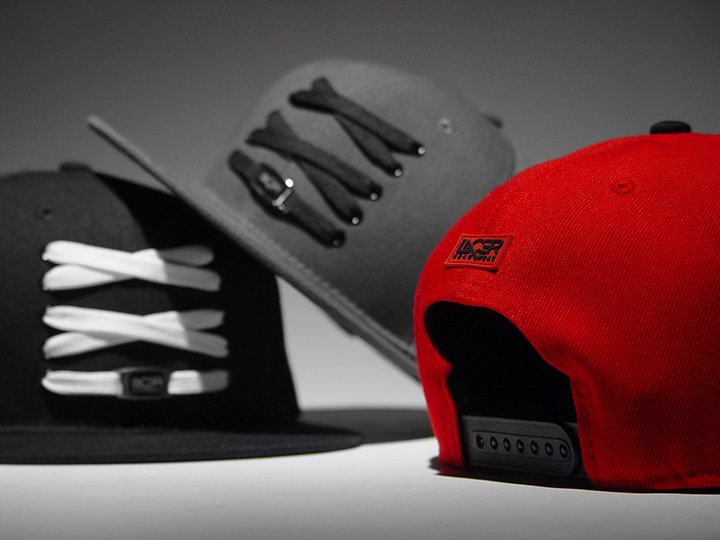 LACER ELITE LAUNCHED IN SEPTEMBER BRINGING SNEAKER ELEMENTS TO YOUR HATS. THE AIR FORCE 1 WAS THE FIRST FEATURED RELEASE, WHAT MADE YOU DECIDE ON THAT ICONIC STYLE? Steve and I wanted the world to recognize why we decided to place rubber soles on the underbills of our ELITE series hats. So, we thought of all the iconic sole designs that we could potentially launch the series with and AF1s proved to be the most recognizable amongst our fans and friends. Not to mention, Nike’s description of the what they call “the circular pattern of light” that everyone knows from the signature AF1 sole is too fresh. ANY IDEA WHICH KICK WILL BE NEXT? We’re working on a dunk undersole that we’re hoping to release summer 2014. 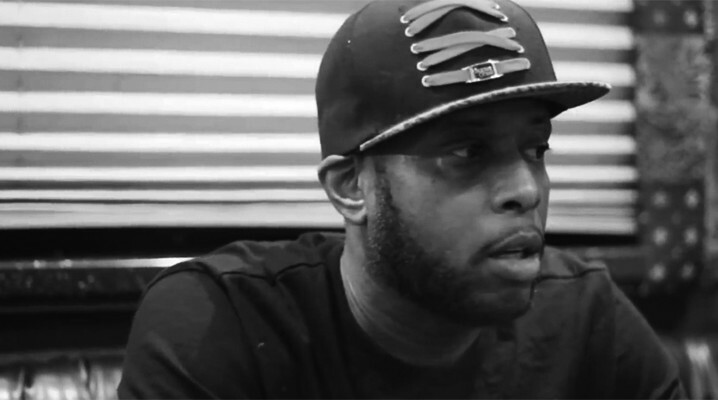 WE JUST SAW TALIB KWELI ROCKING A LACER JOINT IN AN INTERVIEW FOR HIS NEW ALBUM ‘GRAVITAS’, ANY PLANS TO DO HIP HOP SIGNATURE MODELS? Yea our LacerICON team out of Colorado set that up with Talib, so big up to them for being great business partners. We definitely want to continue working with the hiphop community and its leaders, so I’m sure you’ll see us working with more hiphop moguls in the near future. Widespread retail expansion is our biggest goal for 2014. Which means sales sales sales. You’ll also see us putting a bigger focus on our brand culture in the next year as well. So more photoshoots and Lacer lifestyle imagery. But for now we’ll just continue to create high end products, push limits and continue to add to sneaker/streetwear culture. 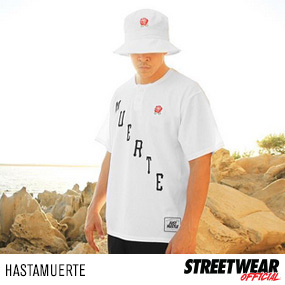 Check out Lacer’s site and swing by their online shop to cop some of their incredible gear. You can also check them out on Twitter, Facebook, and Instagram for their latest.